International pump manufacturer, the Zenit Group, will present its new clear and wastewater pumping and lifting solutions at IFAT 2018, which will take place in Munich from 14 – 18 May. IFAT takes place every two years and is the industry’s principal trade fair for water, sewage, waste and raw materials management. It welcomes more than a million visitors from around 168 countries and showcases the latest in clear and wastewater pumping and waste management technology. The Zenit Group will be presenting its Grey series of submersible electric pumps, its energy-saving Uniqa pumps and a new range of mixers, as well as an assortment of lifting stations. 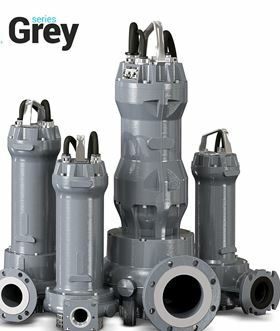 The Grey series, unveiled at the Mostra Convegno Expocomfort exhibition in Milan in March, has several motor versions (from 0.37 to 18.5 kW) and a range of hydraulics (vortex impeller, channel, grinding impeller and high head), and so can be used in civil, residential or industrial sectors. The Zenit team will be in Hall B1 at Stand 238. Italy’s Zenit Group has installed a set of Uniqa pumps at a pump station in New Zealand.